With 80% of your potential customers saying they "trust online review sites as much as personal recommendations" and 75% saying they trust a business more when they see positive reviews, you might be saying, "I've got to get more reviews." However, the audience you cater to also matters. If your market is baby boomers, they're not quite as trusting of online reviews. Positive reviews on Trip Advisor will help your business. Positive reviews on Zagat, OpenTable, Google+ and/or Yelp encourage customers who have never eaten at your establishment to give it a try, while negative reviews could hurt your business. Reviews on Edmunds.com and BlueBook.com are going to play a role in the decisions consumers make. After one of these websites helps the consumer research pricing, Google+ and Yelp could influence the decision whether you are the car dealer that consumer chooses. Your younger customers often look at reviews on Google+ and/or Yelp to determine whether they're going to your business or your competitors. This is especially true when consumers are making quick decisions. Maybe they find they have time on their hands unexpectedly. Or they find themselves inspired to do something they hadn't planned on doing. The quality of the online reviews for your business could send customers elsewhere, even if you are the nearest business to that customer's location. The bottom line is this. Word of mouth has moved online. If you don't have reviews on major platforms for your type of business, you could be overlooking a key lead nurturing tool for drawing in more income. Consider this. A business that's been around for years but has very few Google reviews isn't influencing buying decisions. To be a business that consumers consider when they're making decisions, you need reviews. Vendasta found that 88% of the buyers they surveyed read up to 10 reviews before they made their choice, while only 40% of the consumers surveyed found one to three reviews sufficient. If you want to sell more, you need more reviews. It's no question positive reviews are a valuable asset. And they do more for you when you recognize them. It boosts positive signals, and it deepens your "relationships with customers" and increases "brand loyalty," according to Courtney Capellan, of prWorks. However, in the real world, no business makes everyone happy all of the time. There are always going to be negative reviews. Savvy customers know this. Unless, you actually deserve the review, don't stress over the occasional person who dumps all their frustration on your business. Even though 86% of the people Vendasta surveyed said they hesitated when they saw negative online reviews, it was the number of bad reviews that counted in the end. Ultimately, it's what you do with negative reviews that matters. Customers look to see how you responded. Did you justify yourself or did you try to see the customer's perspective? Did you address the main issue? Did you own any responsibility when appropriate to do so? Did you resolve the issue quickly? Responding to a customer twice, if they continue to rant, should be your limit. If you can't de-escalate hostility within two respectful communication attempts, move on. The reviewer is the one who'll look unreasonable. If within two replies, you've worked it out, your unhappy customer might be willing to amend their feedback. Even if they don't, you've done your part to solve the problem, and it's on record. In this scenario, bad reviews are speed bumps. It slows the customer's selection process, without diverting them. However, if the number of stars your business averages is less than four, it often diverts customers to better-rated options. Listen to what people are saying about your business or products, and make the necessary changes. There is no question that a business with a two-star rating is going to attract fewer customers than one with four or higher. In fact, it's a proven statistic that two-star ratings can repel customers. Sure, every business benefits from positive online review. However, exercise caution in how you go about getting them. Some review sites have it in the contract. 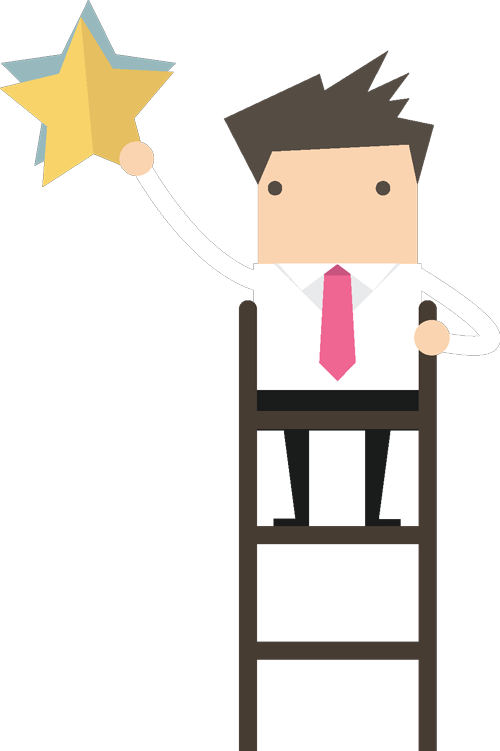 If you claim your business on a review site, you have to adhere to the rules. For example, you can't ask customers to review you on Yelp, but you can ask them to check you out on Yelp. 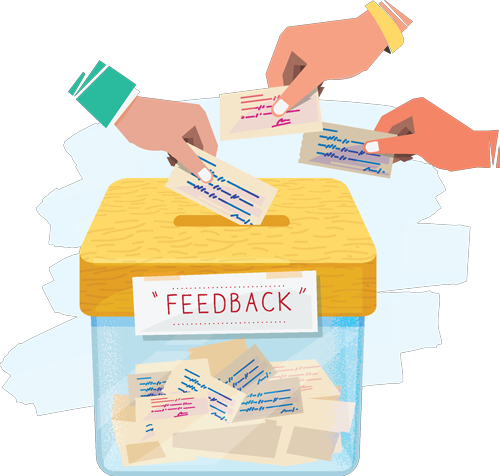 However, there are positive ways to encourage feedback. When you ask customers to share their experience as a way to help you improve your service or product, you'll find more customers responding. Once they do, keep any form or survey short and simple, AND mobile friendly. They'll be more likely to finish it. Never automate feedback responses. It's too likely you'll aggravate your customer. Don't offer rewards for giving feedback. Anyone who leaves a positive review is legally mandated to reveal the exchange of the reward for the feedback. Obviously, you don't want to look like you're buying positive reviews.If you do use deals or offers as motivators to increase social engagement, be sure you're clear that customers receive the reward no matter what type of feedback they leave. It might seem convenient to have in-store locations where customers leave feedback about their experience, but don't count on these to gather reviews. Yelp, TripAdvisor and Google all prohibit the use of in-store "review stations." You may think customers will leave honest feedback. However, these big three in the online review world believe that "bias can be difficult to avoid when a business's employees are flanking a customer from all sides." Stay genuine. It's better to have very few reviews than to have fakes. They're just too easy to spot. There's a reason Google tracks IP addresses and Amazon confirms that the reviewer has made the purchase. In addition, most of your potential customers can spot when a review is inauthentic. They can forgive punctuation and even typical American grammar errors. But when a review glows excessively, they're going to conclude your business is dishonest. Ultimately, every business can benefit from online reviews. This means you should nurture an environment where customers want to talk about their experience with your business. This is an incredibly effective way to nurture leads. The pleasant by-product of customers talking about you is the way that conversation helps your organic SEO at the same time. That's something we should talk about another day. However, if you feel ambitious I would suggest starting with MOZ's Beginners Guide To SEO to get going asap!